In 1923, the Fabig company introduced a new model for the Rofa typewriter, the model 4. Major difference between the Rofa 2 and 4 was the straight keyboard on the latter. For the rest the machine had 2 keys more than the Rofa 2 (30 against 28). There were also some minor mechanical improvements to the carriage and paper feed, and the Rofa 2 had a replaceable type basket, that could be removed by loosening two screws on the sides. 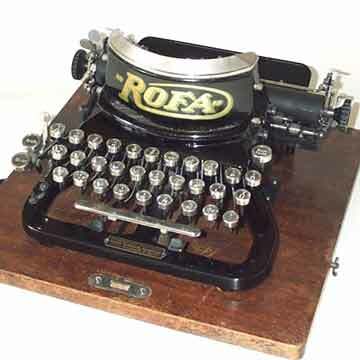 In 1929 came the end of the Rofa typewriter.